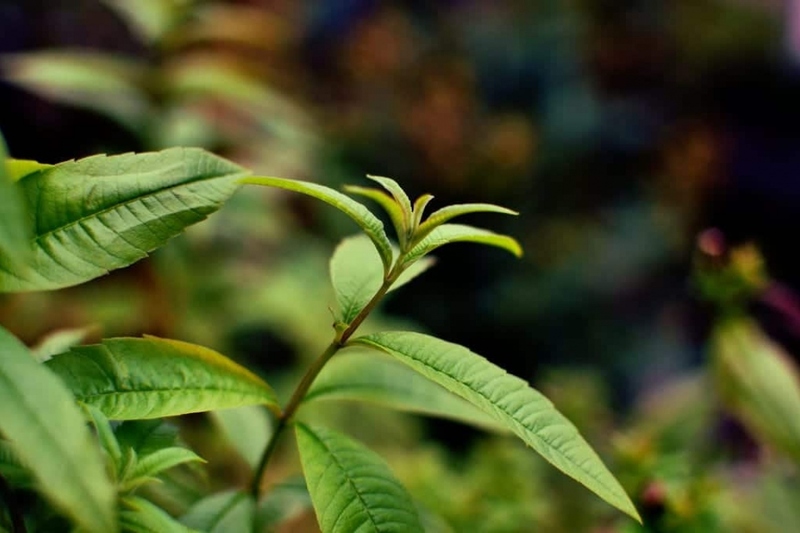 Lemon verbena (Aloysia citrodora): growing, planting, caring. The lemon verbena — the sweet smell of citron! Aloysia citrodora, lemon verbena, or sometimes also known as lemon beebrush, is a deciduous plant that can reach around 1 meter in height in temperate climates. Not well-adapted to the wild, but can grow easily enough inside in a pot, protected from winter weather. It can grow rather quickly, reaching nearly 1 meter in length within the year. Aloysia citrodora, sometimes called lemon verbena or lemon beebrush, is a ligneous plant of the Verbenaceae family cultivated for it's highly aromatic leaves. The lemon scent and flavor is used in a variety of culinary dishes, liquers and infusions. Originally from the South American Andes, this plant is not hardy to temperate climates. It's spearlike, pale-green leaves are arranged in groups of 3 and end in a point. They almost appear sessile due to their extremely short petioles. The flowers release a strong lemon scent when crushed. It's little flowers are grouped loose ears around 10 cm in length. They will not bear fruit in Europe. We often confuse lemon balm — Melissa officinalis — with common verbena — Verbena officinalis. The latter is not aromatic — it's a wild plant native to our regions, famously used to make a verbena infusion that is supposed to possess numerous curative qualities. We after confuse it with lemongrass — Cymbopogon citratus — also called oil grass — a grass native to tropical Asia, and often used in Asian cuisine. If your lemon verbena is in a pot outdoors, bring it in if the outside temperatures in your place fall below -2 ° C. Place it in an unheated room, in the light. Plant lemon verbena in May, after the final freeze. Lemon verbena needs light, cool, and humus rich soil with exposure to the sun. It can stand freezeing to -7 °C, provided the soil is well-drained. For container gardening, look for a large pot of 30 to 35 cm in diameter, with proper drainage. Place your lemon verbena in a substrate composed of 3/4 potting soil and 1/4 sand, enriched with a little compost. Place the plant in the sun. In open soil, excavate a hole that is twice the volume of the root ball in all directions. Soak the container — bathe it! — in a basin of water for 5 minutes. If your soil isn't well drained, add a layer of sand or gravel at the bottom of the hole. Remove the plant from the pot, then position it in the hole, fill back in, tamp firmly, and water. Plant scented annuals with dense foliage at the base of your lemon verbena in order to hide the oft-bare lower portion of the plant. Water regularly for a month after planting, then only in case of dryness. In a pot, water in case of prolonged dry periods, while indoors during winter, once a month will suffice. Be careful — don't leave any standing water to stagnate in the pot saucer, your verbena hates it! Prune dead branches at the very start of sping, as well as cutting back the main stem to around 30 cm above the ground. Remove the extremeties of branches and stems from the entire plant so that it will branch to the greatest extent. You may also regularly remove the sprouts in order to eat them! In October, protect the root of your open soil verbena with a solid layer of dead leaves or mulch. Shelter potted plants in a cool, well-lit room — an orangery would be ideal — as the temperature must be between 3 and 10°C. Definitely don't keep it inside your home, it'll be much too hot! If winter is mild in your region, you may leave the pot outdoors, provided you take precautions. At the beginning of November, move the plant to a well-sheltered location and cover it completely in bubble wrap. Also cover the pot itself to protect it. Level the soil in April, incorporating compost by lightly scraping the top of the soil! Lemon verbena won't produce seeds in our climate! But that's okay — multiplication by taking cuttings from May to September is easy to do! Remove stems between 8 and 10 cm in length, either new sprouts in spring or woody stems at the end of the summer. Remove the leaves from the entire inferior half of the branch, as well as any flowers that may already have formed. In an earthenware pot with a layer of drainage gravel and filled with a half-and-half mixture of potting soil and sand, make holes every 3 cm and plant the cuttings, sinking them to a depth of half their length. Pack the soil down well, water, and place this pot in partial shade, sheltered. Don't forgot to check out it every day, and moisten the earth as soon as it's dry, but never before. At the beginning of November, house the earthen pot under a cold frame, in an unheated greenhouse, under a solid layer of dried ferns, or even in a miniature plastic greenhouse. Place it outdoors in a well-sheltered corner, and if it's cold, cover with bubble wrap or a winter cover. If under a cold frame or a greenhouse, you must aerate as soon as the temperature is mild enough. In March, transplant the cuttings to individual pots with a substrate specifically for cuttings. Wait until June to find a permanent home for them, a sunny spot with well-drained soil You may conserve these cuttings in small pots for two years, provided you keep an eye on watering regularly during the summer.